Senior network engineer, PacketPushers VDC panelist, Gestalt IT Networking Field Day delegate, Cisco Champion 2019, blog at neckercube.com, jedcasey on LinkedIn, @Wax_Trax on Twitter. Thanks for this tutorial. In just half an hour, I have added all of my Procurve, Comware and Extreme XOS devices, incredible tool. Thanks again! I wish you would’ve told me to ‘sudo su oxidized’ before I ran it. I’ve been using Rancid-Git with a private Gitlab server for awhile. I can’t imagine a better setup. Great for controlling access to configs, handling colaboration, and dealing with changes when dealing with consultants or other team members. Plus you can use the Gitlab server to manage your Rancid config & documentation. I’m looking for a documentation to install Rancid-Git on CentOS7 but i was not able to find it. Can you help me with some links ? Thank you, Jedadiah. I’d been looking for a write-up like this for a while. The oxidized docs weren’t clicking with me and I didn’t have cycles to just sit down and power through it. This helps a lot. Can you explain how I make to convert the .txt files to .bin files (on ubiquiti devices)? I’ve Oxidized configured on my linux server to backup configurations from various Cisco devices. 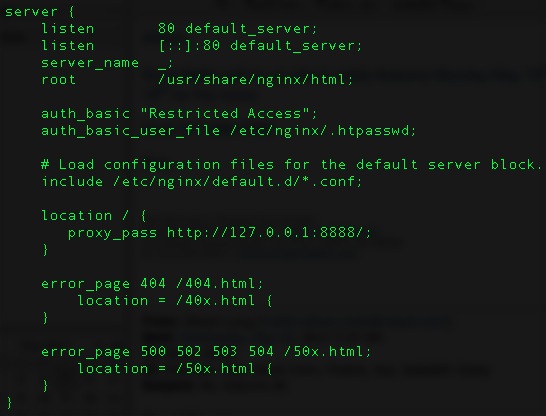 I’ve set these up with SSH access but there seems to be an issue that Oxidized will not able to put my configurations in files and a loop is created when the connection are made with the last switch on my router.db file. For example, in this case a loop is created when the oxidized are running in the last switch and I don’t understand why this is happen. Like I said, the oxidize get a loop into my last switch sw-os5-dist-3.cbr.net and my configs folder is empty. I saw in your post you had incorporated F5 in your config. I was wondering if you succeeded in getting the F5 configs with Oxidized. I’m able to get the configs of IOS test switches but I can’t with F5. I can ssh manually to the F5 devices without problems. I’m trying to use groups to specify user/pwd for each specific device group. Have I misunderstood something if you see my config and router.db contents ? Hi! I’ve been following your how-to, but I’m unable to run it as a service. It does work by running as a daemon. I’ve tried to change the User in the service to root, but still doesn’t work.